In 2005, MTV UK was looking for an infinite family of diverse, high quality characters to populate their brand new multi-media platform MY MTV. A perfect opportunity for Pictoplasma to pull all the strings and secure that the resulting designs truly stand up to the high standard desired. The challenge was to produce a large quantity of unique, individual characters to ensure that the various target groups can each invest, instantly recognize and relate to their own avatar, while keeping the overall appeal of the design harmonious and coherent. 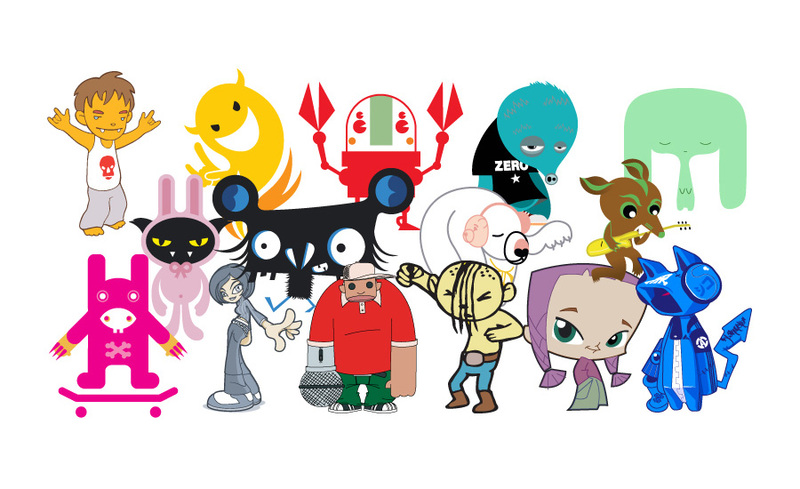 The resulting vast quantity of avatars, lovingly created especially for the project by more than 20 select international artists, designers and illustrators, were further customisable by the user to ultimately interact throughout such diverse media as mobile phone devices, the MTV website and TV broadcast.